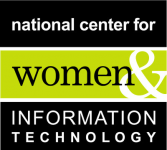 The National Center for Women & Information Technology (NCWIT), the Geena Davis Institute on Gender in Media, and Google present the Reel Women in Technology (Reel WiT) Award for the best portrayal of a leading woman in technology. February 28, 2016	(Press Release) - Voting is open through March 10, 2016 for the first-ever Reel Women in Technology (Reel WiT) Award, presented by the National Center for Women & Information Technology (NCWIT), the Geena Davis Institute on Gender in Media, and Google. As noted by Academy Award-Winning Actor and Advocate Geena Davis in this video, only 17% of onscreen technology roles feature women or girls. This award aspires to change that by recognizing the best portrayal of a leading woman in technology from a program (e.g. documentary, tv show, film, YouTube, etc.) who serves as a role model for girls and women with computing aspirations while disrupting the stereotypes of female ingenuity in technology fields. "It is time to stop perpetuating masculine and 'geeky' stereotypes as defined by pop culture," said NCWIT CEO and Co-founder Lucy Sanders. "This award will not only help to rewrite the narrative and alter misperceptions of 'who' creates technology but also inspire girls and women to become tech superstars in their own right." "Our research shows that when it comes to encouraging women and underrepresented minorities to pursue careers in computer science and other technical fields, positive role models matter, which makes the work of the entertainment industry so powerful," said Julie Ann Crommett, Google CS Education in Media Program Manager. "We're thrilled to support the Reel WiT Award to celebrate the amazing portrayals we've seen over the past year, and we hope that this will inspire more creators to showcase positive portrayals of women in tech." The winner will be announced at the 2016 NCWIT Summit just outside Red Rock Canyon, Nevada. 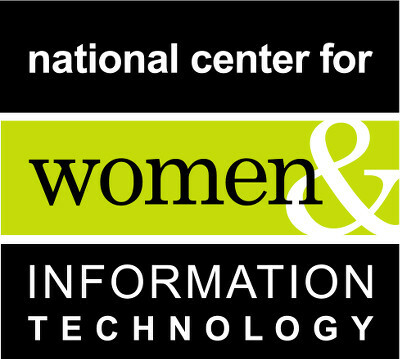 The National Center for Women & Information Technology (NCWIT) is a non-profit change leader network of more than 650 universities, companies, non-profits, and government organizations nationwide working to increase women's meaningful participation in computing. NCWIT equips change leaders with resources and platforms for taking action in recruiting, retaining, and advancing women from K-12 and higher education through industry and entrepreneurial careers. Find out more at www.ncwit.org. Founded by Academy Award®-winning actor and advocate Geena Davis, the Institute is the only research-based organization working within the media and entertainment industry to engage, educate, and influence the need to dramatically improve, gender balance, reduce stereotyping and create diverse female characters in entertainment targeting children 11 and under. Google's mission is to organize the world's information and make it universally accessible and useful, and our approach to computer science in media is an extension of that mission. We are committed to increasing CS opportunities for all -- regardless of gender, ethnicity, geography, or socio-economic level -- and aim to inspire young people everywhere not just to use technology, but to create it. For more information, visit g.co/csedu. Supported by the National Center for Women & Information Technology and CODE2040, leading technology companies take a pledge that will fuel U.S. innovation and economic growth by increasing diversity and inclusion within their own organizations. The first-ever NCWIT Collegiate Award encourages women undergraduates to persist in computing majors by recognizing their impressive innovations.